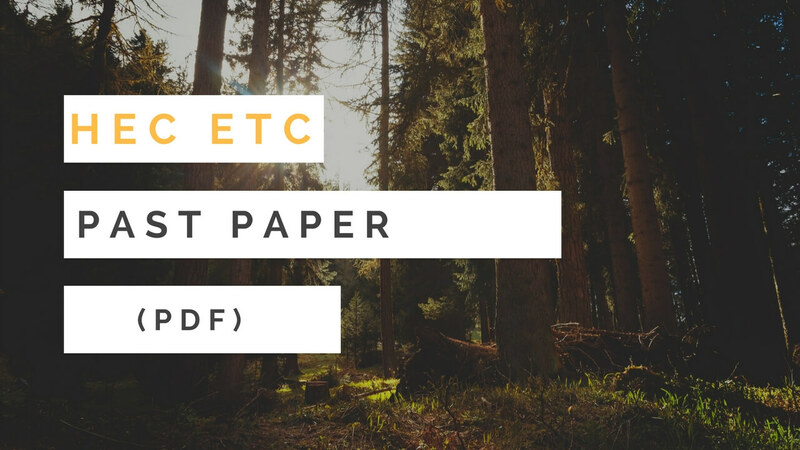 Are you looking for HEC Past Papers with high-quality PDF file? Then you have come to the right place. It's worth mentioning that HEC will take the entry test exam of FMDC as it was taken NTS previously. The paper pattern is change both of the tests. 1- Federal Medical and Dental College - FMDC ( a public sector Medical and Dental College affiliated with Shaheed Zulfiqar Ali Bhutto Medical University) Islamabad. 2- HBS Medical and Dental College, Islamabad. 3- Islamabad Medical and Dental College, Islamabad. 4- Rawal Institute of Health Sciences, Islamabad. 5- Yusra Medical and Dental College, Islamabad. Here you cannot only download rather you can view online. Some students like to view the online papers because nothing is required to download. Note: Please wait for 5 to 10 seconds after clicking the below image. As many students know there is no specific syllabus for preparing as it is the case with MDCAT and NUMS. For this, your concept must be clear about every topic. You can check the above past paper, then focus on that areas. If you want to know the paper pattern, then 30 MCQs from Physics, 30 from Chemistry, 40 from Biology and 20 Fron English if you belong to the Pre-Medical category. Are you looking for HEC ETC Past Papers? Then here you can download in PDF for free.